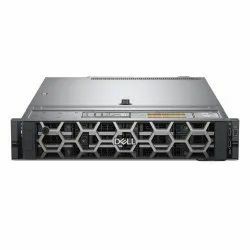 Providing you the best range of power edge t30 mini tower server, dell r430 1u server, dell power-edge t430 server, dell r530 1 u rack server, dell r230- 1u rack server and dell poweredge r540 with effective & timely delivery. 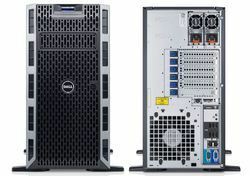 We offer to our client a wide range of Dell Power-Edge T30 Mini Tower Server. 1U Rack Model- R430- Intel® Xeon® E5-2620v4 (2.1GHz/8C/20MB/85W)/12 DIMMS/1X8 GB DDR4/upto 4 Drives (3.5inch) Hot Plug Drive/1X300GB SAS (2.5 inch with 3.5 inch carrier) 10K RPM/RAID 0,1,5 (H730)+1GB CACHE/DVD WRITER/1X INBUILT (550W )3Yrs.Pro-support Misson Critical/24x7 4hr onsite. 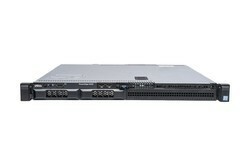 We offer to our client a wide range of Dell Power-Edge T430 Server. 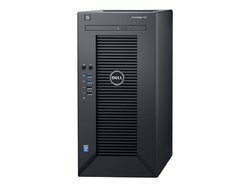 Looking for Dell Server ?